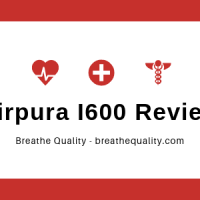 The Canadian brand Airpura is undeniable the best air purifier brand of this country. Since 2004, they have only one mission – to bring clean air to millions of people worldwide. With revolutionary technology in making great True HEPA filter, the air purifiers of Airpura can even be attached to a Central Air System, so it is effective for your entire home or office. There are 12 filtration options for you to choose from, but the best is probably the Airpura UV600 and Airpura P600.